Dale DeGroff is a man who needs little introduction. 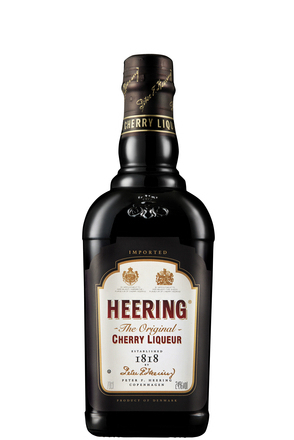 The former head bartender at legendary New York venue the Rainbow Room was instrumental in the re-discovery of iconic heritage brands like Cherry Heering. He was at the forefront of the return to classic cocktail making and has written, amongst other things, the industry bible that is The Craft of the Cocktail. "I chose 1897 from the 200 years of Cherry Heering's legacy because my drink is based on whiskey in America." "The first popular whiskey in colonial times was rye whiskey which of course led to the true American heritage product bourbon whiskey." "E.H. Taylor, the founder of OFC (Old Fire Copper) distillery and John G. Carlisle, Secretary of the Treasury worked together in 1897 to convince Congress and the President to pass the Bottled in Bond act. That went a long way down the road to protecting Bourbon - America's heritage product. Unscrupulous rectifiers bought barrels of Kentucky whiskey, stepped on the whiskey with all kinds of additives and then sold it cheaper as 'fine old Kentucky Bourbon". "Oddly the home of 95% of the bourbon produced in the United States the Commonwealth of Kentucky named milk as the official state beverage." Some believe that the protection offered to Bourbon Whiskey led to a much wider look at all food and drug safety and eventually led to the passage of the 1906 Pure Food and Drug Act. This act added further protections to the definition of American whiskey expressing that pure whiskey could have no additives except water. In 1909 Taft further amended the whiskey definitions to legislate that the neutral whiskey blended into straight whiskey had to be made from grain not molasses. Straight Whiskey and Blended Whiskey were also defined. Straight whiskey could have no additives except water to bring the proof down. Everything else was blended whiskey. In 1938 the law was amended again to include the use of only new white oak barrels and further amended by Congress in 1964 to include the wording made in the USA only. Today, there is a resurgence in the practice of Bottled in Bond in American whiskey, and not just with bourbon but Rye Whiskeys as well. "Cherry Heering came into my orbit when I was researching old pre-prohibition drinks for the first Rainbow Room Menu in 1986. I came across this god-awful looking recipe for a drink called the Blood & Sand with four very unlikely ingredients; orange juice, Scotch, Cherry Heering and Sweet Vermouth...!" 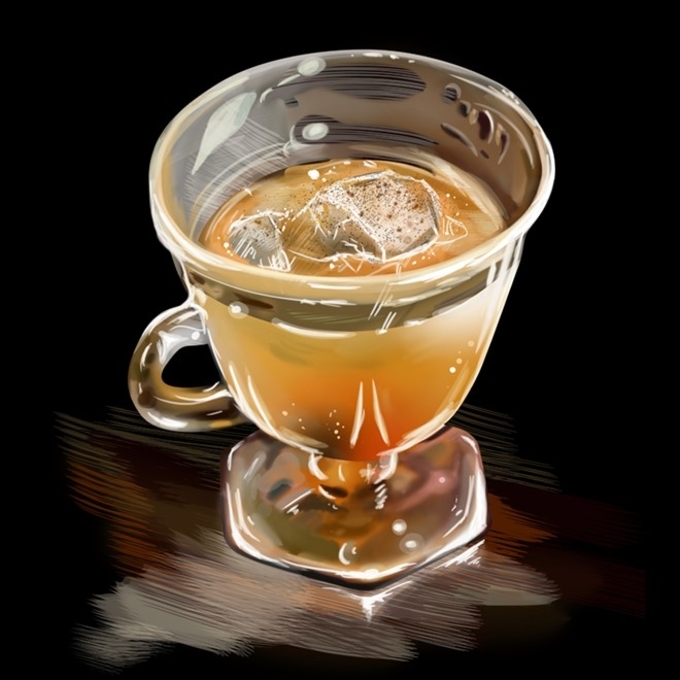 "At first, I just dismissed it out of hand as an impossible combination but it kept popping up in multiple prestigious cocktail tomes so I made one and to my astonishment it was really good!" "That was the moment I realised I needed to make and taste drinks before condemning them to the trashcan by their recipe alone." "After using the drink for my first cocktail dinner (paired with a meat dish) at the Rainbow Room in the mid 1990s, I found it could only work with Peter Heering's Cherry Heering... something I would later also discover about the Singapore Sling. They both needed a world-class cherry liqueur to really taste correct." DeGroff stands by David Wondrich's claim, 'the cocktail' is not only "a metaphor for the American people," but also "the very first American culinary art form." 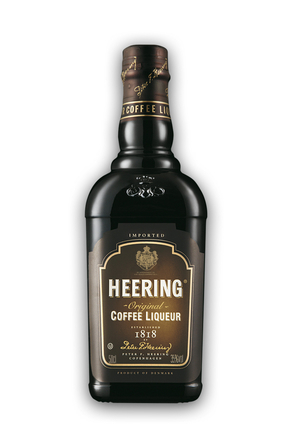 Within the 200 year history of Heering there have been many drink trends that came and went. It was DeGroff who dug up the term 'Mixologist' from early 19th century drink scriptures and was dubbed a 'master mixologist' at the frustration of many who felt bartender was sufficient. This was an attempt to differentiate his craft - "one who understands the process of not just mixing spirits and liqueurs, but also how they're made, where and by whom." He can also lay claim to the resurrection of the Blood and Sand cocktail and the continuing brand rejuvenation of heritage brands like Cherry Heering. 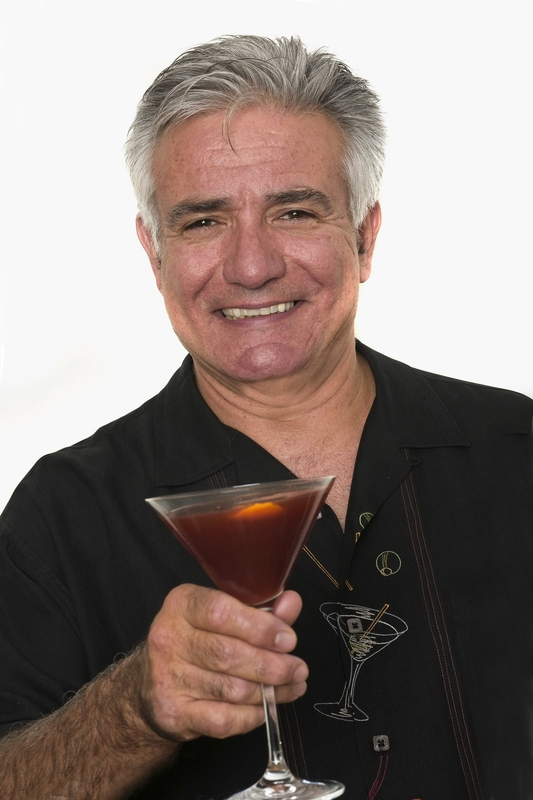 As an educator, public speaker, and patriarch of bartender culture, DeGroff''s contribution to his craft has inspired countless bartenders by way of online education through his BarSmarts course. This platform hosts consistently evolving and updated course content for young bartenders to learn bartending, cocktail recipes, tasting, front and back of house skills before being then accepted to sit an annual five day face-to-face course. "My partners and I in a company called Beverage Alcohol Resource (BAR) began offering a once a year Master Class in 2005 that lasted a week and ended with a day of tasting." "The drinks company Pernod Ricard came to us and asked us to create a similar but not-so-advanced interactive online course for the journeyman bartender. We were a bit leary about the branding aspect (the Five Day Program is not branded and never has been). But Pernod Ricard had such a vast portfolio that included many recognised classics in almost all categories that we made a deal and decided to proceed." The online version took a couple years to perfect but as of this year they have topped 14,000 bartenders and that number grows each year. DeGroff and team have also added a live advanced element; a day-long event for 150 bartenders that must include a lecture and live testing in order to certify. The testing includes blind tasting spirits, a practical bartending test (making a round of drinks for judges) as well as a 100 question written exam. "This is what is trending... EDUCATION ... Not just our program although it may be the most ambitious, but programs like it around the world that finally offer the kind of education that has not existed in this profession since prior to prohibition certainly in our country certainly but has existed for hundreds of years on the culinary side of the business in an apprentice / master tradition as well as in prestigious culinary academies." At 69 years young the stately DeGroff speaks with conviction and purpose. He sips Talisker, he gets to the point quickly and he is quietly charming - the sign of a true master. He says, "his cocktail days are numbered." You won't find him sinking shots at the bar with his mates or drinking every drink on a menu like he used to - he prefers to sip & spit; "No offence" he says. Moreover, he's humbled by life's gifts, grateful for the career challenges and loving his life living in New York with his steadfast wife and two sons. 2 whole, fresh, navel oranges peeled zest only no pith. Prepare early the day of or the day before the event, the zest and sugar need about 6 hours to work. Using a peeler remove only the zest (no pith) from 8 lemons and 2 oranges. Pound the zests with 2 cups of granulated sugar in a quart container. Screw down the top when finished and shake well right side and upside down. Set aside for six hours. Do not add any liquid for six hours. After 6 hours, add the 2 cups of fresh lemon juice, screw down the top and shake well until the sugar is completely dissolved. Strain the shrub off the lemon and orange zests. The zests can be discarded. Assemble the rye whiskey, Rainwater Madeira, Cherry Heering and the double shrub in a 2 gallon batching container. Refill the two whiskey bottles with the spring water and add to punch, stir. Keep cold in the fridge until ready to use.